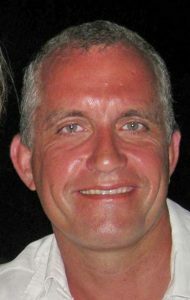 Why has there been so little reaction to the recent award of the George Cross to Dominic Troulan? Additionally, both the emphasis on the George Cross being a ‘civilian award’ and commentary about Troulan’s award being the first civilian award for 41 years ignore the reality behind the awards of the George Cross, George Medal and Queen’s Gallantry Medal. 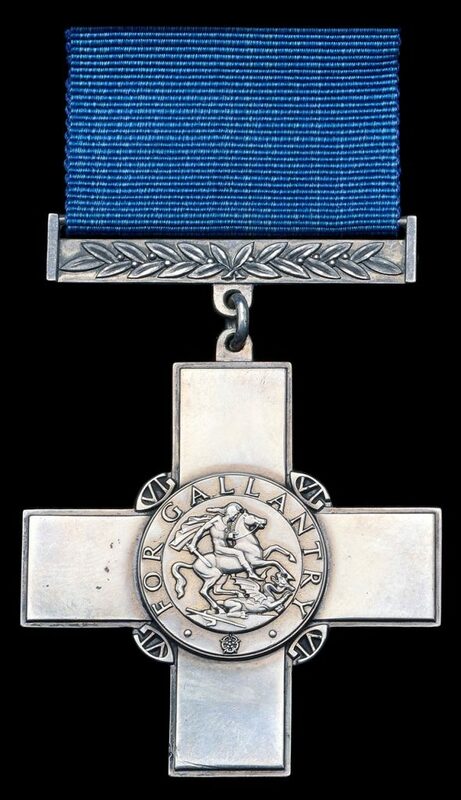 The institution of the George Cross (and George Medal) was announced by King George VI in a radio broadcast on 23 September 1940 and the first awards soon followed. Although intended as an award for civilians in ‘all walks of life’—primarily those who responded with courage of the highest order during the blitz—it was also awarded to military personnel. Indeed, by the end of 1940, 12 of the first 16 awards were to members of the Armed Forces, as were 76 of the first 100. The number of submissions from the Armed Forces was such that the Committee responsible for determining awards recommended that the number of submissions should be reduced to maintain the highest standard. Since its institution, there have been only 162 direct awards of the George Cross (which does not include the awards to the island of Malta and to the Royal Ulster Constabulary). It may be surprising to note that only 50 awards have been made to civilians and, although some of the awards to military personnel have been for acts of gallantry without any military connection (for example, the recent award to Captain S J Shephard Royal Marines), the majority of awards to both military and civilian recipients (113) have been for acts of gallantry in warlike conditions or related to terrorist incidents. Over 50% of all awards have been posthumous. See my analysis of awards of the George Cross. See my register of recipients of the George Cross. Dom Troulan spent the majority of his adult life in the Armed Forces, in specialist units either on or in direct support of operations. His actions on 21 September 2013 in the Westgate shopping mall in Nairobi were against four determined terrorist adversaries from the Somali, militant, Islamist group al-Shabaab, who killed 67 people and wounded over 175 others. Troulan was armed and fought off the attackers on at least two occasions during his repeated forays into the mall. He and his repeated acts of bravery cannot be described accurately as ‘civilian’ and they provide an excellent example of how well suited is the George Cross (and George Medal and Queen’s Gallantry Medal) for recognising gallantry in such complex circumstances. On 21 September 2013, a group of heavily-armed terrorists entered the Westgate Shopping Mall in Nairobi, Kenya and started to murder men, women and children indiscriminately. Dominic Troulan, a security consultant working in Nairobi, was contacted by a friend who asked him to go to the incident to try and locate the friend’s wife and daughter. On arrival at the Mall, Troulan contacted the family by telephone and entered the Mall. He was armed with only a pistol while the area was dominated by terrorists armed with grenades and machine guns. Nevertheless, Troulan managed to bring the two women to safety. Realising that large numbers of civilians remained trapped while the terrorists continued to kill indiscriminately, Troulan re-entered the Mall. Over the course of several hours, he went into the building at least a dozen times and on each occasion managed to bring many innocent civilians to safety. He was fired on twice by the terrorists but managed to force them back. By now, Troulan was exhausted, dehydrated and at the limit of his mental capacity. He was about to stop when a distress call was received from a woman who was trapped, injured and bleeding. Once again, Troulan entered the Mall and brought the woman to safety. Despite the strain of his efforts, it should be noted that Troulan had the presence of mind to realise that the terrorists could be hiding among the survivors. Troulan enlisted help and searched the civilians once he had led them to safety, thus ensuring that no terrorists were hiding in their midst. 1. (Back) Royal Warrant of 24 September 1940. London Gazette 31 January 1941. Issue 35060, page 622. 2. (Back) The Selection Committee for the George Cross, George Medal and British Empire Medal. 3. (Back) Detailed discussions about many of the recommendations and the standard required (and the equivalence of the awards to military decorations and medals) may be found in the various files of the Committee in the National Archives in category AIR/2. 4. (Back) In addition to the direct awards, in 1940 living recipients of the Empire Gallantry Medal were required to exchange their awards for the George Cross and in 1971 the Royal Warrants for the Albert Medal and Edward medal were revoked and their living recipients invited to exchange their awards. Notably, there were 182 awards of the Victoria Cross during the Second World War and 15 awards since then. This does not include four awards of the Victoria Cross for Australia and one award of the Victoria Cross for New Zealand. 5. (Back) London Gazette 16 June 2017. Issue 61969, page 11774. This entry was posted in Gallantry on June 23, 2017 by Nick Metcalfe. Sadly I think Kenya is a ‘far away country of which we know little’ so Dom’s extraordinary heroism goes unremarked. I agree, but I think there is a wider malaise about awards in general – gallantry and meritorious.